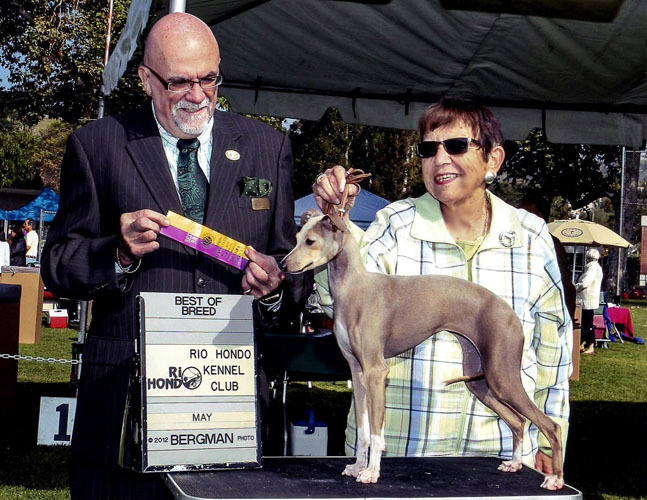 In 2012 Pepa was awarded BIS at the Santa Ana Kennel Club Owner/Handler series! 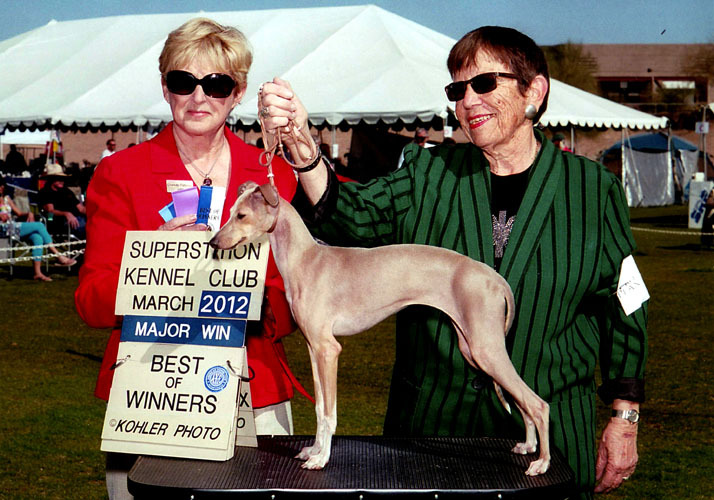 PePa started by winning BOB under judge Arlene Benko, and then she got to the Owner/Handler Toy Group: she won it, Group 1st. 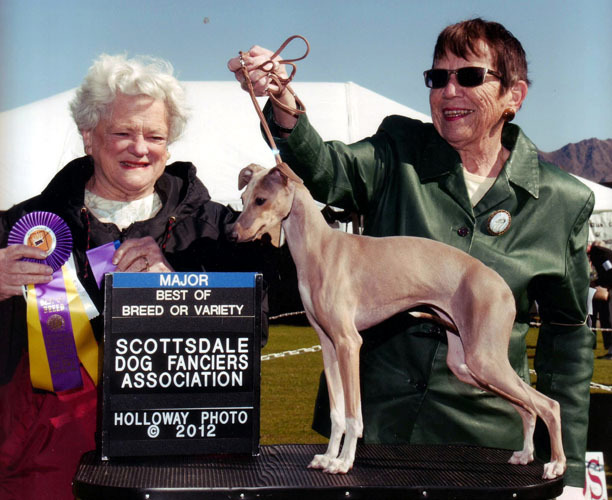 Then, Lilian showed PePa in the Owner/Handler Best in Show ---- and, PePa WON it! 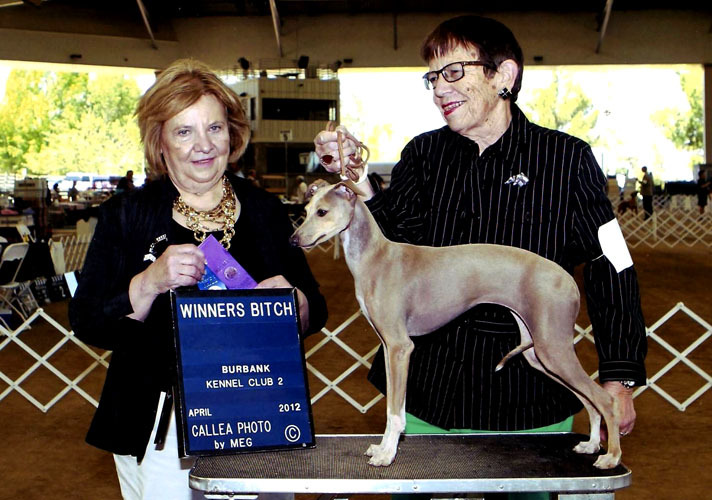 Owner/Handler Best in Show!!! 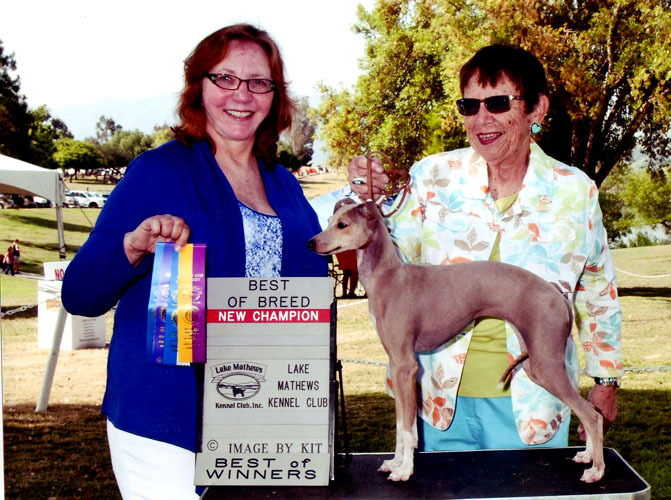 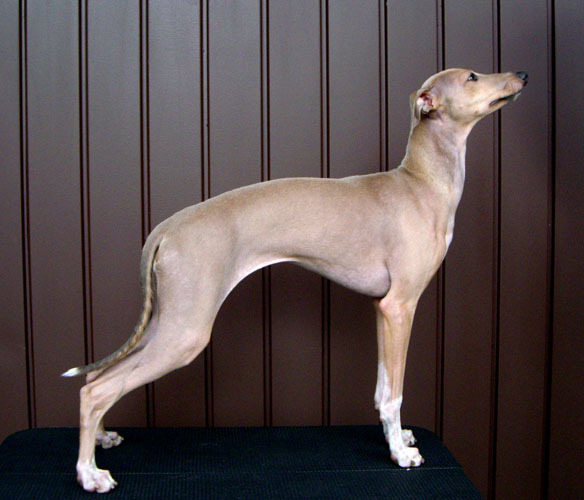 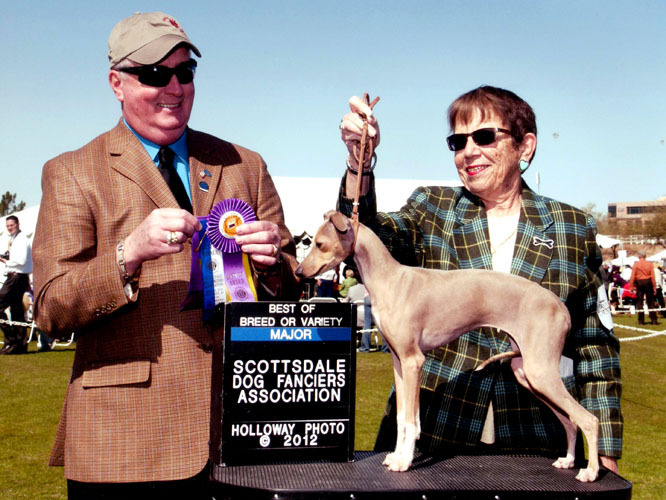 Our gratitude to sighthound breeder, judge Mr. Irving Bonios. 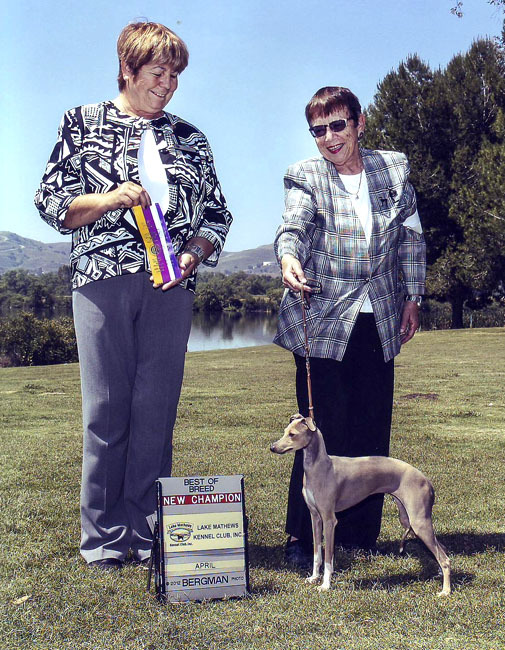 The picture below was taken at the only time Pepa was shown in Brazil, and she not only finished her "Brazilian Puppy Champion" title, but also won Best Puppy in Show All Breeds (picture below). 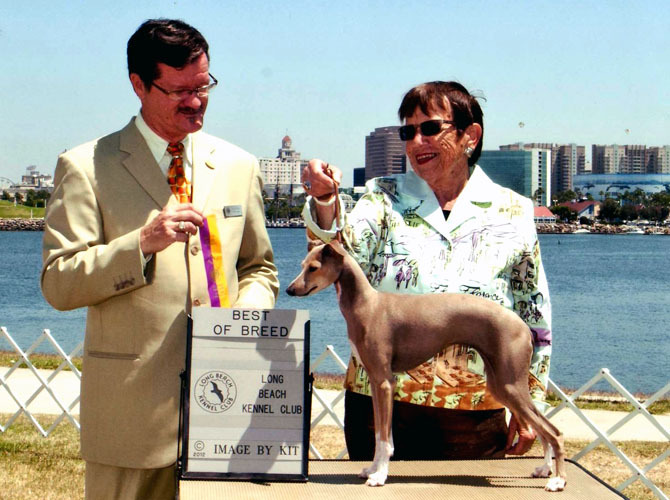 Our gratitude to judge José Arnaldo Medeiros, sighthound breeder, for this honor. 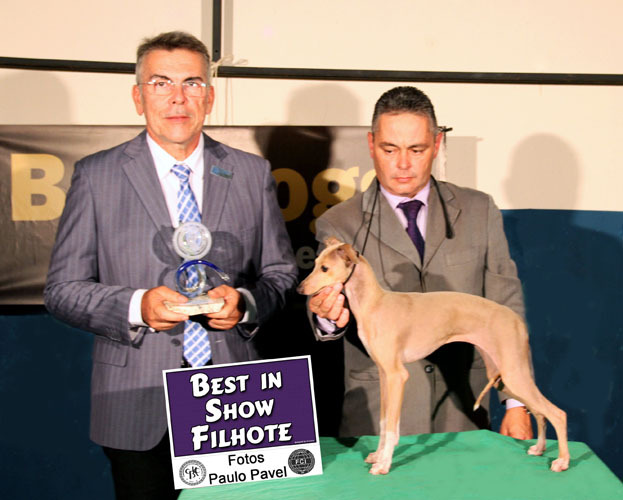 PePa was shown by pro-handler Fernando Ortiz, who did a great job training and showing PePa to this great win. 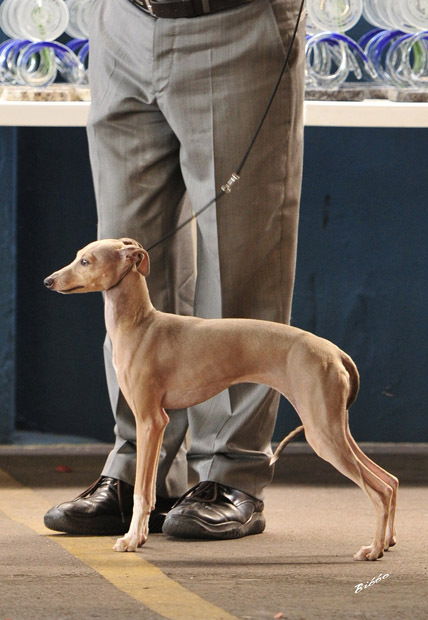 The next picture is a ringside candid taken by pro-photographer Bibbo Camargo of Brazil. 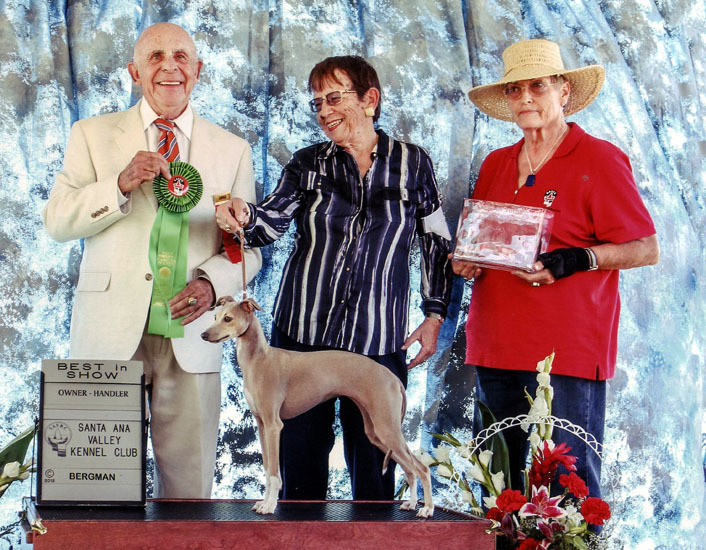 PePa is owned and shown by Lilian S. Barber, La Scala IG's, California, U.S.A., and was bred and is co-owned by Elias P. Duarte Jr., Canil do Reino, Curitiba, Brazil.